Arsenal legend Thierry Henry has revealed that his ultimate career ambition is to manage his former club, though he would not hold out for it. The former French striker is currently assisting Belgium manager Roberto Martinez while he retains his role as a Sky Sport pundit. The ex-player is ready to be patient for the role as he desires it but he could not hold out for it. “Everyone thinks I dream of Arsenal. Yes. But it’s just a dream. How could I be pretentious enough to think they’ll have me? I’m just starting. I’m trying to became a coach. I’ve no pretence to know where I could go one day. I’ll go where I’m wanted,” the Premier League legend said. Henry played at Arsenal from 1999 to 2007, scoring 174 goals in 254 games. He played at Barcelona before he ended his career playing in the MLS for New York Red Bulls. His focus is on developing his football managerial skills and helping young talents develop. The Frenchman was offered the job of managing the Arsenal youth team while working on his licensing. Negotiations broke down as he could not combine the job with his punditry role. 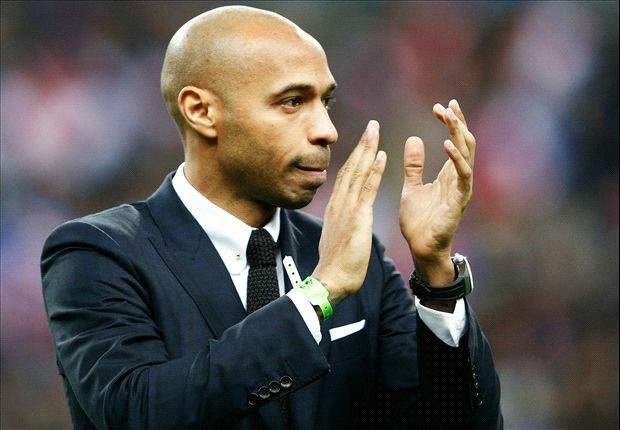 Henry recently said that the job of a manager was more difficult than that of the players. He was interviewed by French newspaper L’Equipe where he said that a simple mistake as a manager could have terrible consequences for the team. He said that playing the game was hard but that coaching is much harder due to all the factors that have to be considered going into any game. He is working on his licenses and he awaits his first real managerial role.